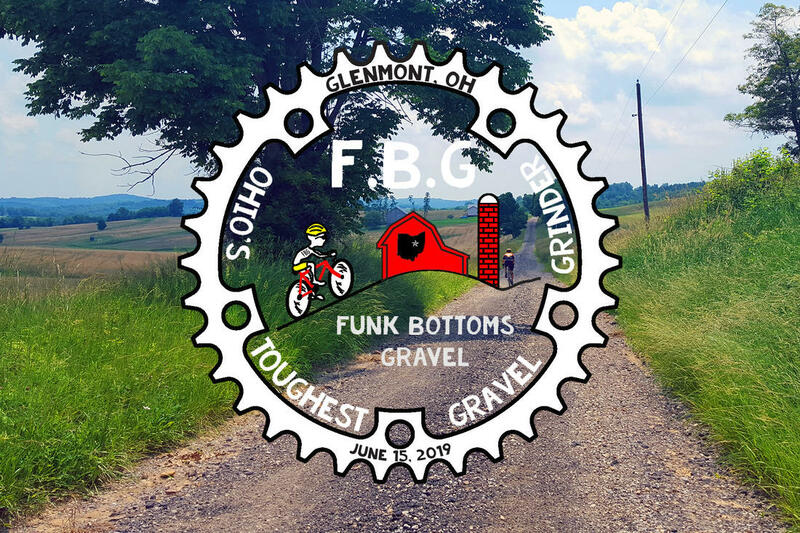 Now in its 9th year, Funk Bottoms Gravel will once again challenge cyclists to Ohio’s Toughest Gravel Grinder. Two races, one brutal course! A one lap 100K race and for the ultimate challenge, a double lap 200K race. The course will take riders along some of Ohio’s most scenic back country roads. On each lap, riders will be challenged with over 7,000 feet of vertical climbing! The 200K race is an Ohio epic. It is a relentless and grueling climber’s course. The overall 200K female and male finishers will receive a free entry into Gravel Worlds in Lincoln Nebraska. Road conditions are a mix of paved, chip & seal, and 80% gravel & dirt roads. The Funk 100K/200K is a self-supported event and riders must be prepared for any mechanical and nutritional needs. No outside support is allowed. Our good friends at Hammer Nutrition will once again be providing support with Hammer Fuels before the race, and at the secret checkpoint. As usual, this year’s race will be an entirely new course incorporating various roads from previous years along with some new sections. This is a cue sheet race. The roads are open to normal traffic in the area. Expect to encounter cars, trucks, horses, buggies, farm equipment, ATV’s, buzzards, road kill, and the occasional farm dog at any given time. Rain or shine, it’s Funk time! Looking forward to it! I was a first timer last year. Great route with no shortage of vertical! I'm running a Wahoo Bolt now as I missed a turn 5 miles from the finish last year and rode and extra 10... my fault as the turn was well marked...I just had my head down and missed it. we want the funk, gotta have the funk Funky Friday Ya'll! Bottoms people! Bottoms....order your Lounje shorts and bibs!! !